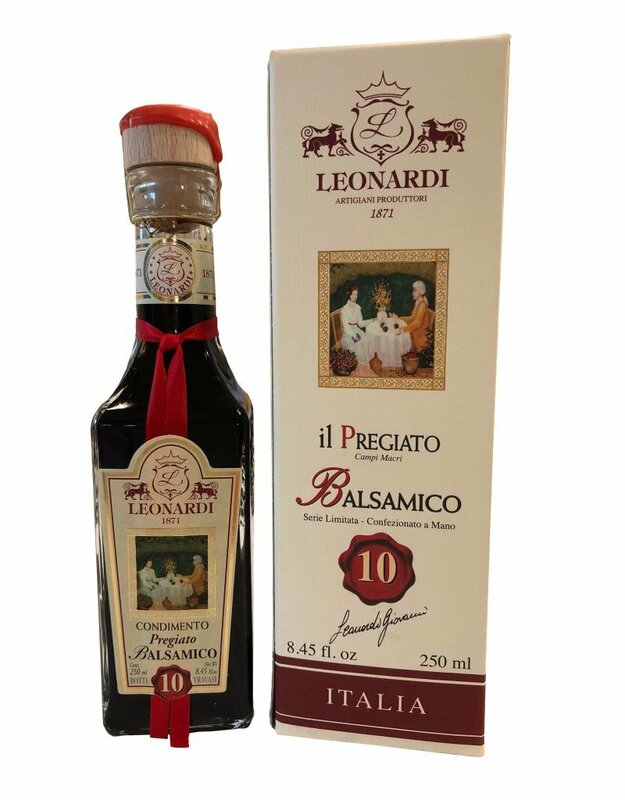 Leonardi Il Pregiato 10-yr Condimento Balsamic - Miam! 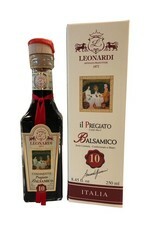 Il Pregiato (the precious one) is the Leonardi's family selection from a batteria with minimum 10 travasi (topping up). 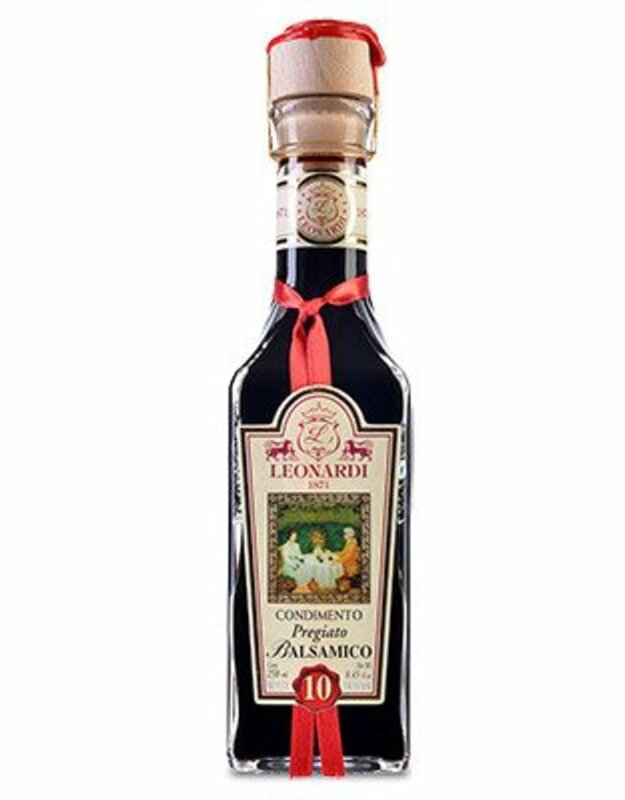 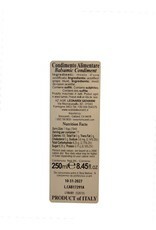 Young and bright, lean and straight-forward, this balsamico is for adding that extra spark to beautifully composed salads which may include walnuts, pecans or almonds so that the oaky scents of the vinegar can complement the toasty nut flavors. 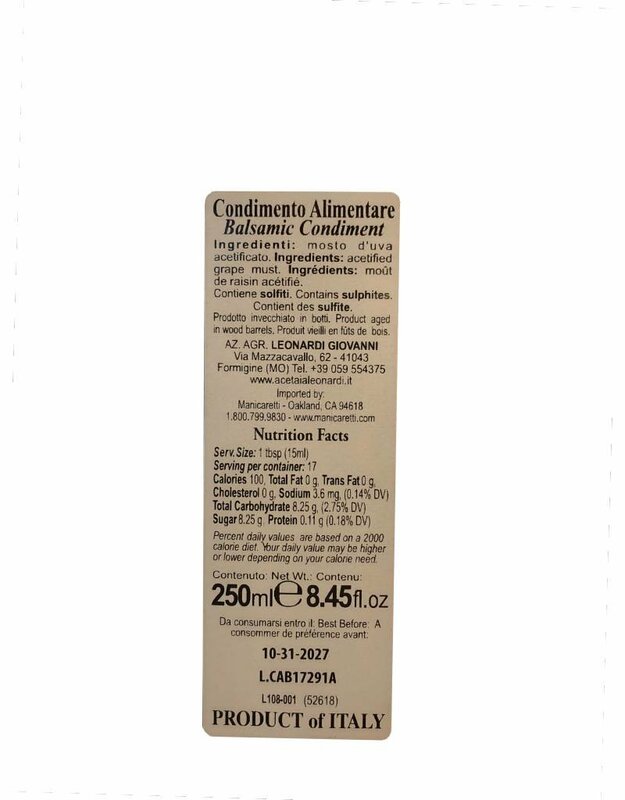 Ideal to enliven grilled mushrooms served with meat, or to splash on top of a simple sautéed chicken breast during the last minute of cooking. 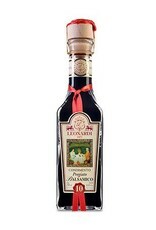 Add a new twist to a Bloody Mary.